One of my goals this year is to go into marathon training with a stronger mileage base, and the Chicago Area Runners Association Wintrust Lakefront 10 Miler was the perfect early spring race to work towards. 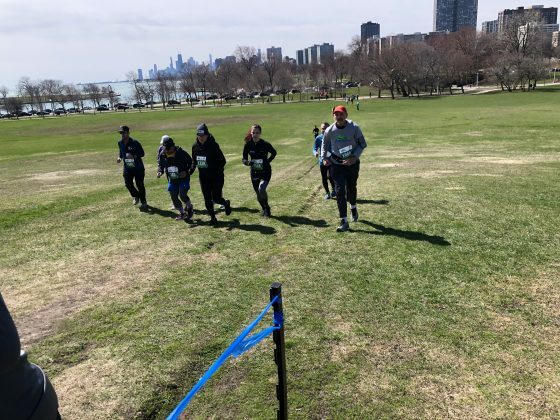 I must admit, as a suburbanite, I’m not one to venture to the city for races unless it’s unique and/or a longer distance. 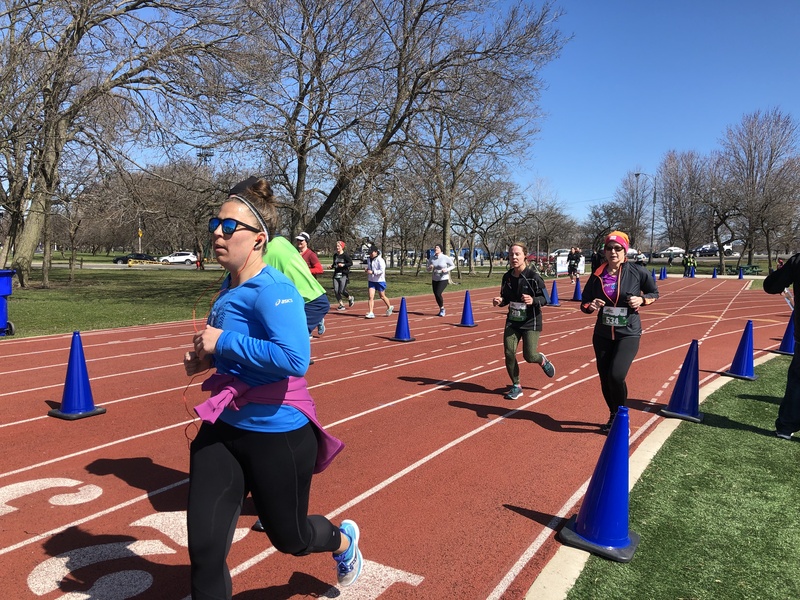 The parking situation alone usually turns me off from even registering, but after running CARA’s Orangetheory 20 Miler in August that started at Montrose, I knew the Lakefront 10 Miler would be extremely accessible and stress-free. 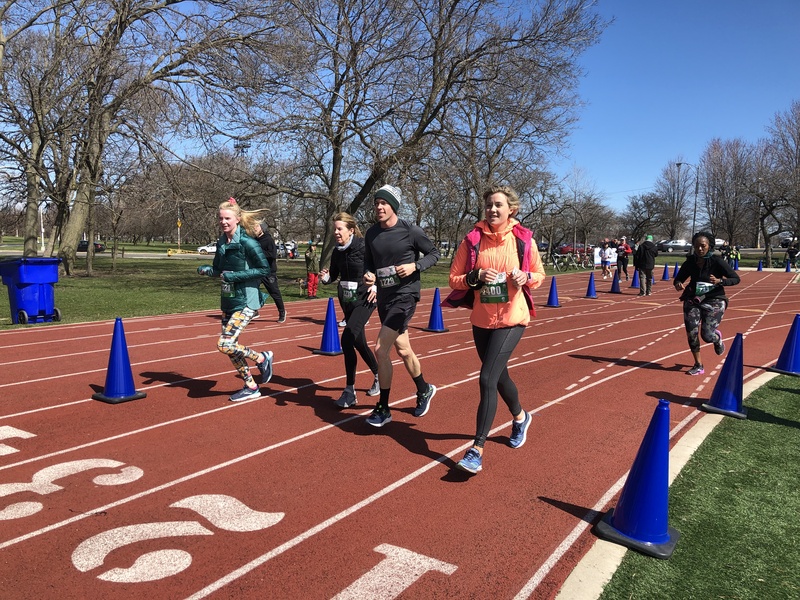 I was happy to find out my predictions were correct; I did not have time to pick up my packet the week before, so I left for Chicago around 7 a.m., and was parking right next to Wilson Track by 7:45. There was no traffic, and the parking lot still had plenty of spots. I picked up my packet (that came with a nice long-sleeve tech shirt), did a little warm up, put on my bib, and ate a snack all before the 9 a.m. start. While I did hear a lot of people complaining about the wind after the race, I honestly didn’t notice it too much. There were definitely some gusty areas, but the cloudless sunny sky made for perfect running weather in my opinion. Way better than conditions were less than 24 hours later, so I was thankful! 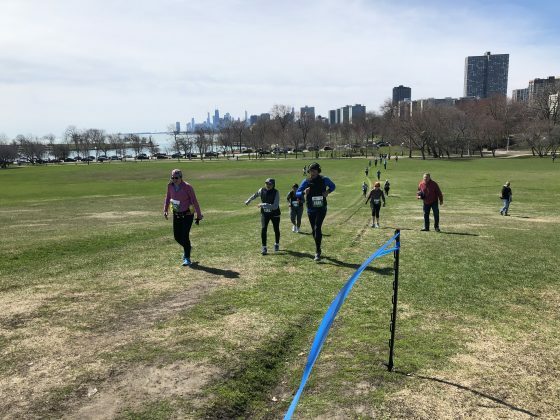 The course itself was a nice out-and-back along the lakefront. For me, the first half dragged a little bit, as the turn-around seemed to never come. However, as soon as I hit mile six and was heading back up north to Montrose, the time flew. Before I knew it I saw Cricket Hill in the distance and heard announcers from the post-race party. I have heard about Cricket Hill over and over, but this was my first time actually tackling it in a race. 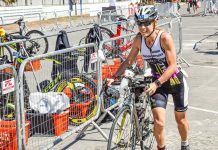 It was a nice added challenge for the end, and I think because it was within the last half mile of the race, I was able to endure it in a positive mindset. Plus, “Unwritten” by Natasha Bedingfield came on my running playlist as soon as I began the uphill trek, so that was a nice boost of motivation as well. 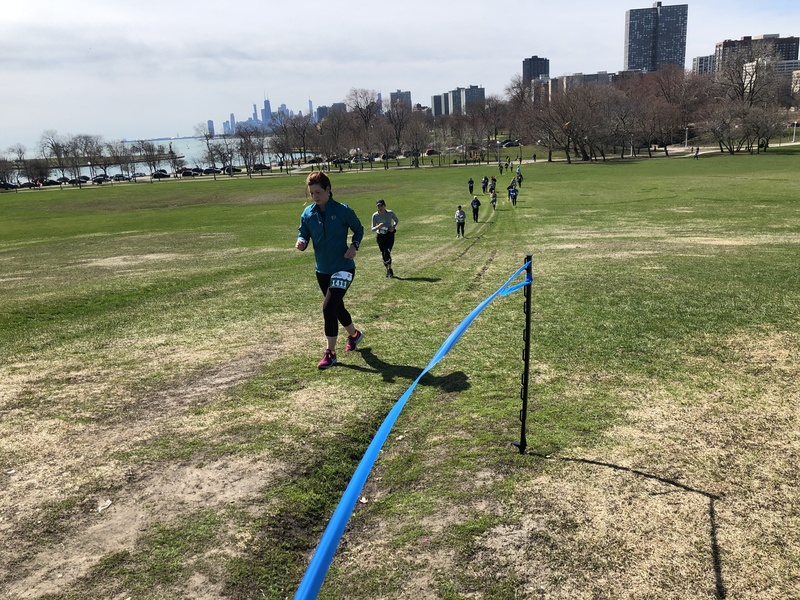 I will say though, I’m glad we only had to run the hill once, unlike the previous event course where it was on the route twice. After descending the hill, we had about a half a mile left, including a full lap on Wilson track. As a previous track athlete and current high school track coach, I love when races incorporate track finishes. As soon as I stepped on the track, the time clock read 1:28-something, and I really wanted to be under 1:30. 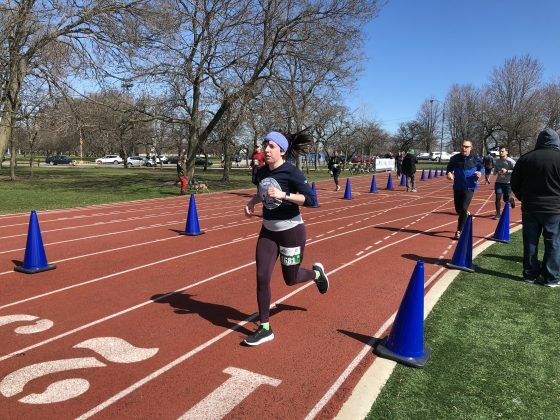 Having just been at a track meet the night before, I shifted my mindset to a sprint finish, and came in around 1:29:30. 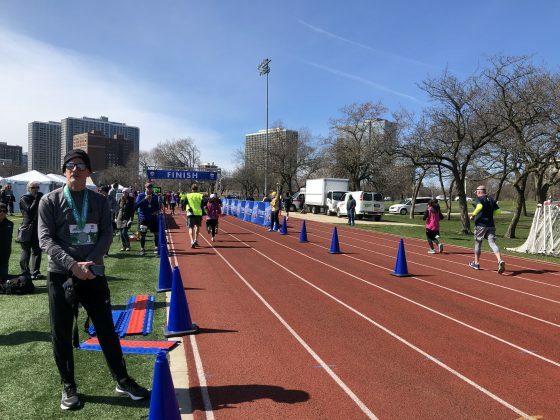 The post-race party took place on the field inside Wilson Track, where runners could pick up snacks and beverages and visit various sponsor booths. 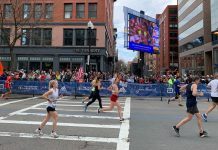 I hung out for a little while, then headed back to my car which was a three-minute walk away, and was home before noon – nearly unheard of for a downtown race. Because of the accessibility of the race, I would definitely do the Wintrust Lakefront 10 Miler again. 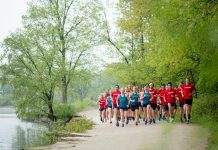 Not only do I love Saturday races, but events that don’t take up your entire day are even better. I often say half marathons are my favorite racing distance, but the 10-miler is just as good, and this event provided that option in a simple, authentic manner.